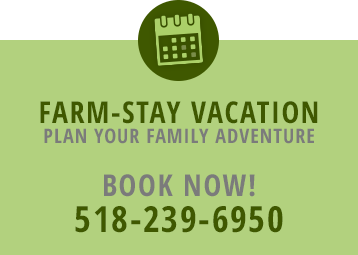 At Hull-O-Farms Family Farm Vacations, we are happy to speak to you by phone to answer all your questions and help you with your reservation. ** To make a reservation we require a one-night deposit. ** We accept all major credit cards except American Express.